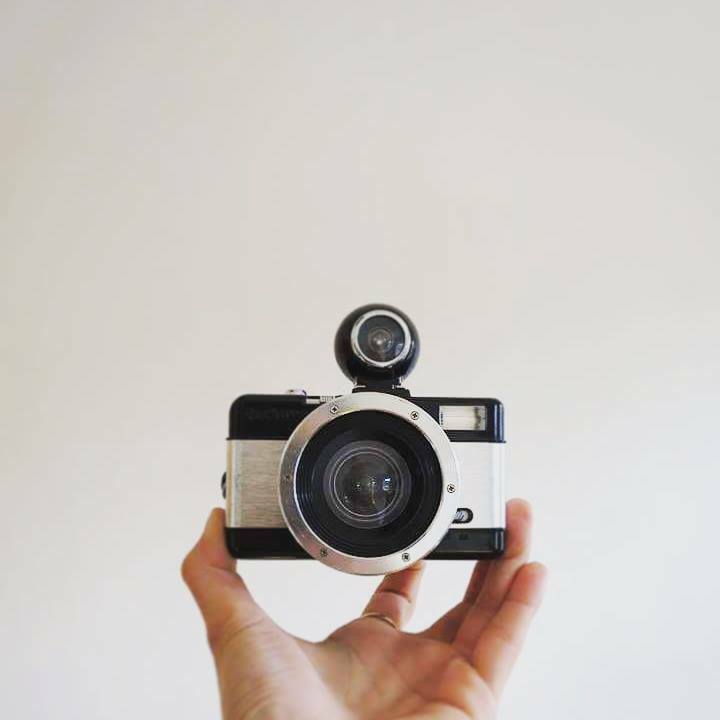 //Analogue cameras! Where do I begin. //These beauties are something I have been using since around 14years old, gosh nearly 10 years ago, scary. Although I am lover of the handy digital camera going back to how it used to be I find it refreshing. It’s nice coming away from the reality of technology and the modern world, I swear life was simpler when everything was analogue, especially analogue pause in the 90’s now that amusement of people still moving on pause was pretty funny, anyway I am waffling off course here. 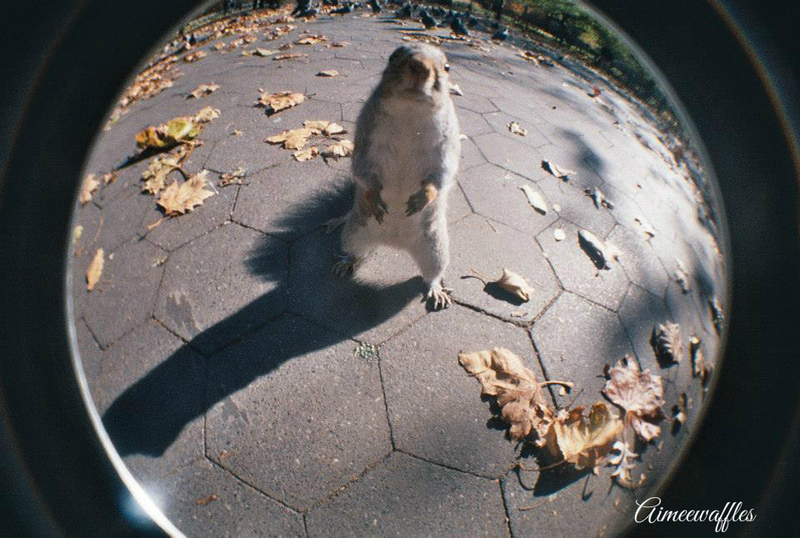 Back to basics, here she is, my fisheye no.2. She’s very battered and bruised but she works good as new. 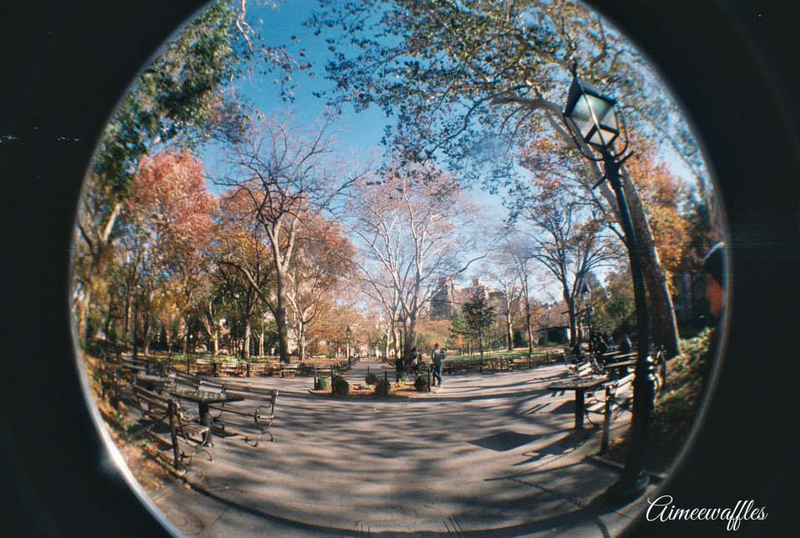 //I have many other lomo cameras such as Diana f+, Diana mini, Diana baby, La Sardina and Holga 3D but I find myself always crawling back to the good old fisheye. She comes with me on pretty much every holiday and outing. 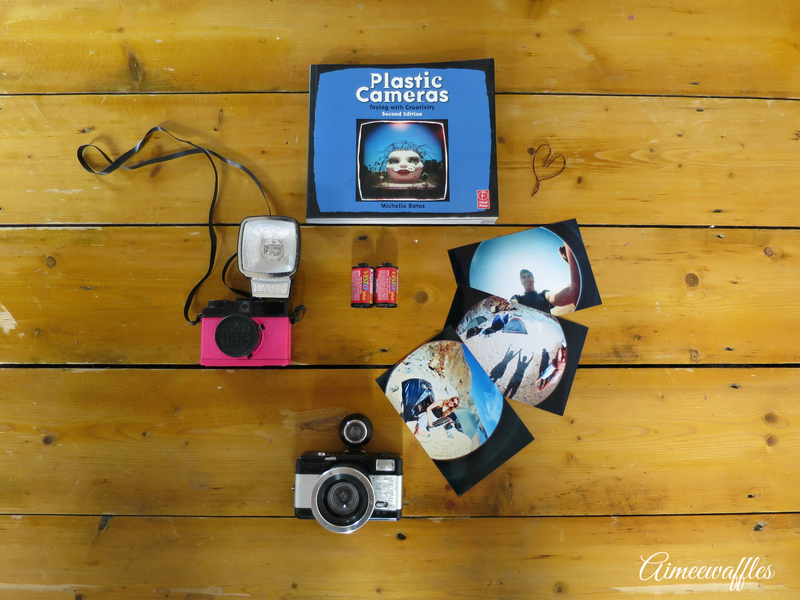 Here’s what you can expect from Lomography style camera’s. //Awh jeez I just love them, they are in every photo frame in my house, it is like I am literally in a fish bowl! //I urge anyone and everyone to pick up a camera film camera, even the cheap disposable ones you can buy are brilliant they are just as good! You won’t get the fisheye effect BUT I can guarantee it will have a Lomo effect! And who doesn’t want that! 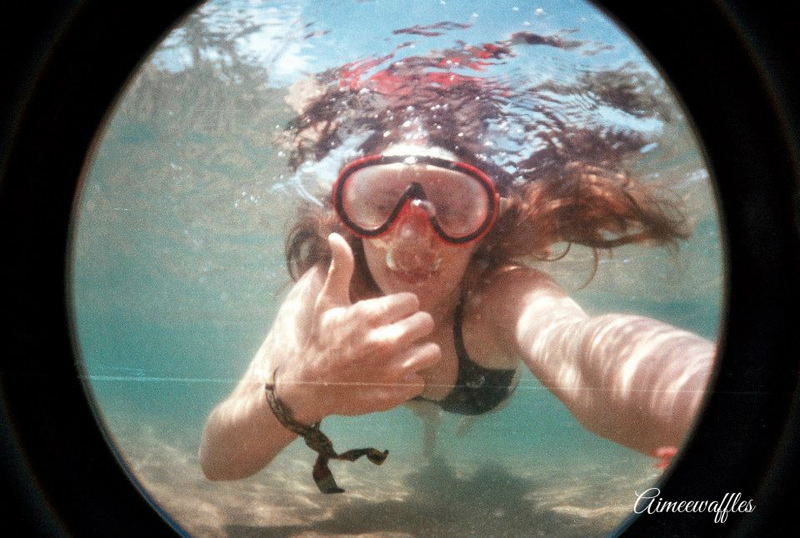 //The best photo’s I get from my fisheye is when I go on holiday, blue skies really bring out the best in these film photographs. 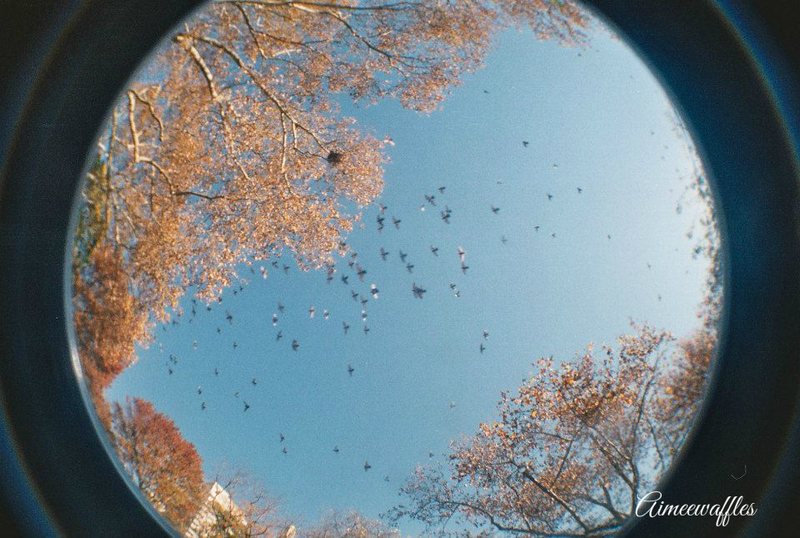 //These were all taken in pigeon park in New York City in November 2014 (best park ever, equipped with a hilarious pigeon man) and they are some of the best shots I have captured of animals apart from my cats. 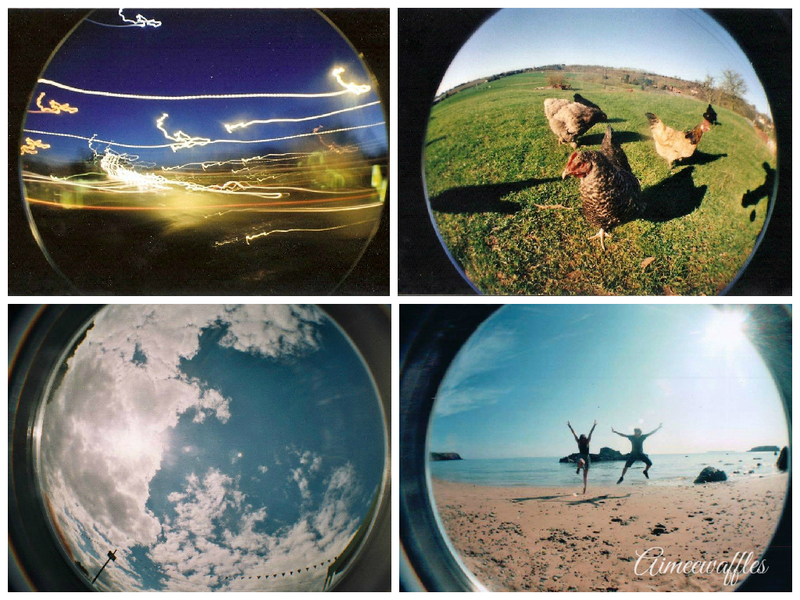 These are just a few examples of what you can create, I’ll create some more posts on about my plastic cameras’s such as film exposure effects and I have even got an underwater case for my fisheye which has produced some really fabulous photo’s as I am on holiday next week I will be able to play around with the underwater case more and see what other photo’s I can create! //Hope you enjoyed this tiny snippet and I shall see you all next week (as I am off on holiday, woohoo). 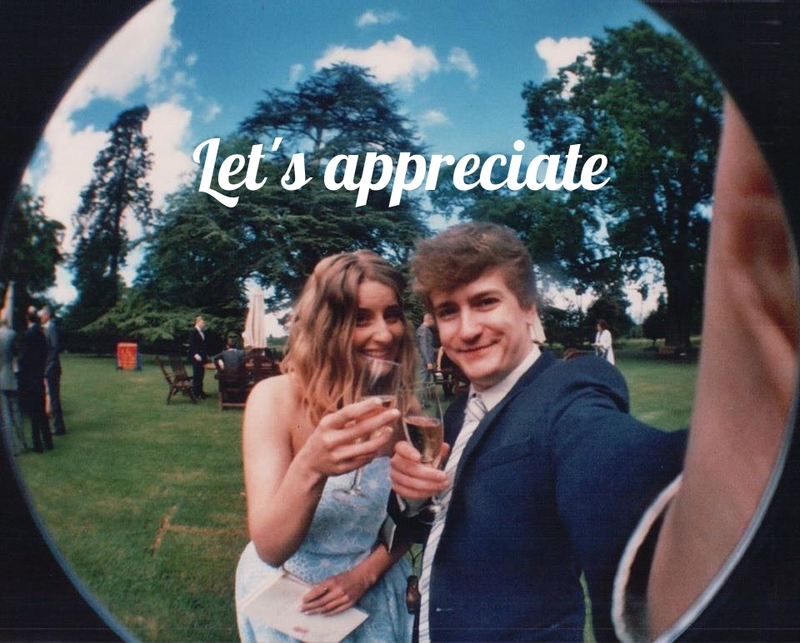 While I was writing this blog post I was listening to an artist called astronomyy, check him out – https://soundcloud.com/astronomyy. This weekend my perspective on life changed. A person who I knew barely enough to call an acquaintance turned my mind into an emotional rollercoaster. I suspected there was something wrong, I hadn’t heard her or seen her for about two weeks and I noticed little things such as the washing wasn’t on the line (like it normally was) or the loud pitter patters of her and her children’s feet running around upstairs – a guaranteed alarm clock. Then on social media there it was, confirmed. She had passed away from breast cancer barely even in her 30’s. Although I never knew this lady properly I feel like I knew her well, being neighbours I practically saw and heard everything that was going on and I felt like I knew her. It is amazing what you know about a person without knowing them, I knew she was one of a kind who lived for her family, she was funny, outspoken and just a joy to have met. I used to catch her sitting in the garden, eyes closed and feeling the warmth of the sun on her face appreciating the little things that we take for granted. It takes one hell of a lady to battle through breast cancer but the fact she carried on life regardless and you would of never of known. Nothing stopped her and I could see this without having to be next to her but obviously you don’t know what happens behind closed doors. What a woman. Everyday so far there hasn’t be a single moment I haven’t thought about her, sat writing this now a few tears have shed. Practically a stranger and she has really touched me, making me realise you can not predict the future, WE need to live life. Waiting to save for a house, stuck in a dead end job you hate, waiting to travel or the thought of ‘oh I’ll do this and that next week’ – there might not be a next week. Now that scares me, I think it scares everyone to some degree. But from this lovely lady I will appreciate the wind on my face, the rain ruining my make-up and the warmth of the sun. I am going to begin to remember how lucky I am and what I have, even if I do hate my dead end job someone out there would give anything for it. And my poor boyfriend, I forget how lucky I am to have him and he’s put up with me for nearly four years – poor bugger. //Welcome. I’ve just set my blog so will be blogging shortly! 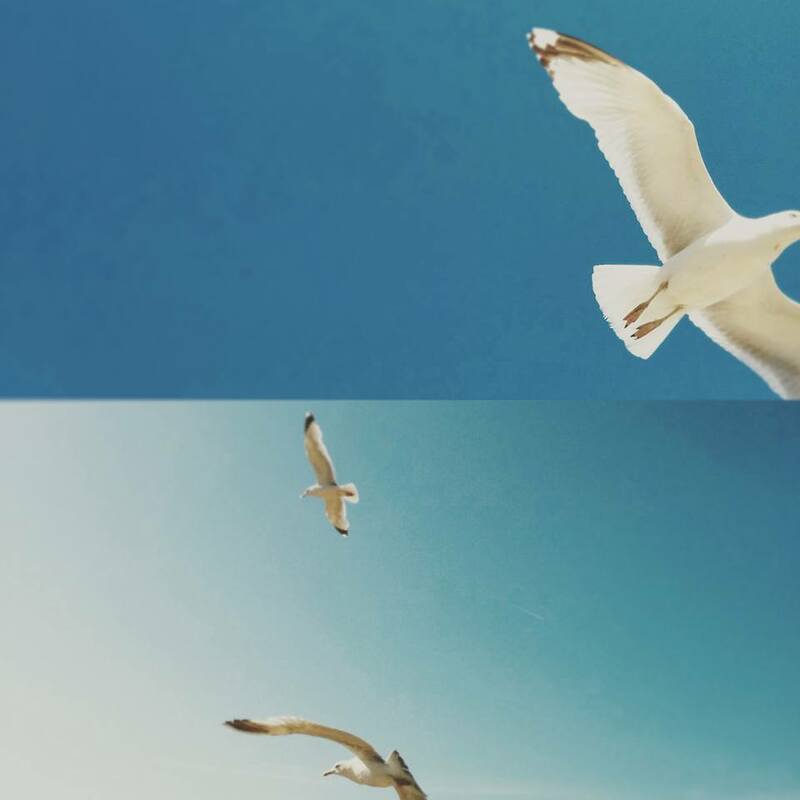 Meanwhile appreciate these Brightonion seagulls.